Heartiest Congratulations girl!! You have successfully completed first trimester of your pregnancy. All the symptoms like Vomiting, nausea, food aversions, mood swings will start to lessen and finally disappear. This is the beginning of the second trimester which is also considered as honeymoon period of pregnancy. It is also regarded as the most comfortable among all the three trimesters. But you need to follow fourth month pregnancy diet chart. By following proper diet, you will ensure that you are getting proper nutrients. This is the time when significant changes start happening to the mother and child. Mother’s anxiety regarding miscarriage also drops because the chances of miscarriage are also very minute. In the entire pregnancy, second trimester is considered safest for travel. Your gynecologist will also prescribe you to get an ultrasound done and also other tests during this month. Motherhood is no doubt one of the most celebrated and cherished occasions in a women’s life. It’s the turning point in their life which they desire and long for. That’s the reason it is very important for mom to eat a varied and balanced diet. This is necessary to maintain her as well as baby’s health and growth. In fourth month of pregnancy baby bump definitely begins to show. It is one of the most enjoyable stages of pregnancy as you become the center of attraction wherever you go. Food starts tasting better during this time of pregnancy so it is easy to follow the fourth month of pregnancy diet. You feel a strong urge to fill yourself with chocolates, ice creams, pizzas, pickles etc. But you need to control your cravings and make sure that you follow the pregnancy diet chart month by month which keeps you on the right track till the end of pregnancy. Don’t worry. 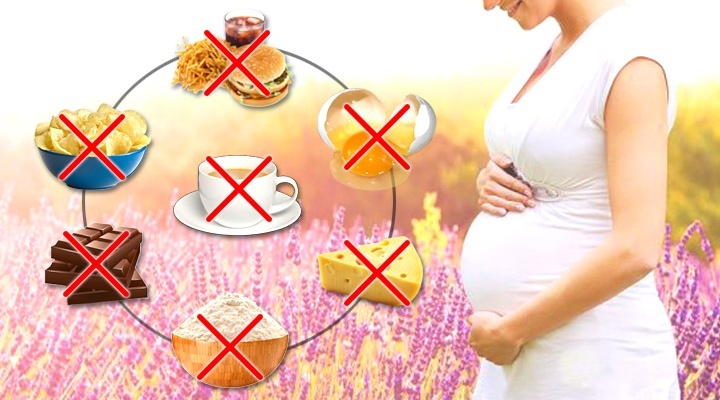 We have come with a list of things to eat and avoid during 4th month of pregnancy. Quinoa – is known as a wholesome protein source which has all essential amino acids. Nuts, Beans, legumes, seeds, and lentils are very good sources of iron and protein. Many researchers have reported that eating seafood during pregnancy causes lower anxiety levels. Women are at a higher risk of developing constipation during pregnancy. Eating plenty of fiber is effective in minimizing that risk. Studies have shown that as the foetus grows, the risk or severity of hemorrhoids increases. So eating plenty of fiber during pregnancy 4th month and even later reduces that danger. Make sure to add a lot of fibrous food in your 4th month pregnancy diet plan. Foods having high amount of fiber are lentils, pulses, beans, green vegetables, oats and grains. Choose whole wheat or multigrain breads over white one. Wholegrain foods are made up of grains having the germ, endosperm and the barn. They help you to suffice the extra energy requirement. Wholegrain foods are a great source of iron, vitamin B as well as fiber. Whole wheat cereals, bread, brown rice, pasta etc. can be included in your diet. Fresh fruits have lots of vitamins, minerals, and also they are high in fiber and water content. 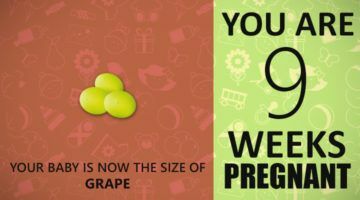 Fruits will become your best friends during pregnancy. Because during this time you may suffer from heartburn and acidity. For ex. Apple, banana, orange, apricot, grapes have minerals and vitamins that are essential during this period of gestation. You can eat fruits in the form of dried, canned, frozen, fresh or juice. Target for five to six portions of vegetables and fruits per day. Fresh and frozen fruits have more amounts of vitamins as well as other nutrients. In fact, eating a fruit is always better than juice, since you get high fiber content and nutrients. Think about vegetable juices such as carrot juice for extra nutrition. Your baby’s growth spurt during 4th month of pregnancy. Demands higher quantities of calcium in your pregnancy diet. Once you enter 4th month, gynecologist prescribe you calcium and Vitamin D. You must consume minimum one liter of milk and milk products. This will help the foetus to grow and develop very strong bones. If you don’t prefer drinking milk you can also eat around 200 gm of well cooked paneer or half liter of curd. Broccoli, cauliflower, carrots, turnips, leafy vegetables etc. provide essential vitamins you need during pregnancy fourth month. Leafy vegetables like Spinach, Fenugreek, Mustard seeds, and Leafy lettuce should be regular in your diet plan because they are an important source of folic acids. Vegetables like Tomatoes can be used in salads as they are high in vitamin C and also have antioxidants that can protect against cell damage during pregnancy. 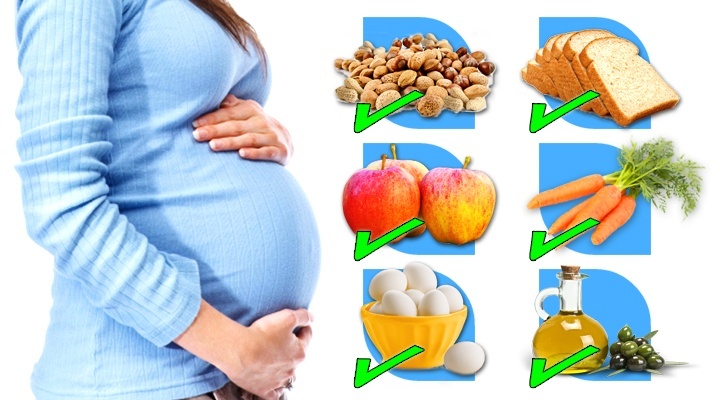 Include Nuts like pistachios, walnuts, almonds; peanuts in your fourth month of pregnancy diet as they have presence of dietary fiber, essential fatty acid, iron and calcium. You can also include dried fruits such as dates, raisins and dried fig which are rich in minerals, vitamins, iron, calcium, fiber etc. Include only a handful of assorted dried fruits and nuts. 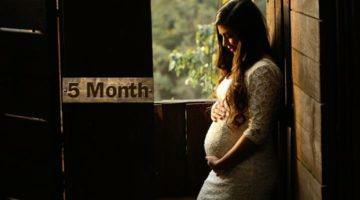 Baby and your bodies need these essential fatty acids in diet during pregnancy month by month. To minimize the risk of premature labour, low birth weight and improvement of the child’s central nervous system. Ensure that your fourth month pregnancy diet contains enough amounts of Omega 3, 6, 9 fatty acids by taking foods like fresh water fish, tinned tuna, nuts and olive oil. Including meat in your pregnancy diet is not an issue. Keep in mind that the meat should be cleaned well and cooked thoroughly. Raw or half cooked meats have presence of pathogenic microorganisms. If you are craving for restaurant food, than choose tandoori meats since they are cooked well. Eggs are rich in proteins as they contain all nine essential amino acids. Cravings are normal during pregnancy. But there is a list of foods best to avoid during fourth month of pregnancy diet and later. Avoiding these foods will ensure that you and your baby are safe during pregnancy. 1. Junk Food and street food – We can’t control our self when we see street foods because it is tempting while you are on your food cravings. There is zero assurance of hygiene and cleanliness of foodstuffs and also the containers used for making those foods. Street food is main cause for food poisoning and other diseases such as typhoid or diarrhea. So, if you feel like to have chaats, pakodas or other chatpata foods try preparing yourself at home. 2. Varieties of fishes containing Mercury – Fishes like swordfish, marlin and shark, are better avoided during pregnancy. As much as possible, avoid sea fish as they are loaded with methyl mercury, a compound that can cause mental retardation in the foetus. If you cannot do without fish, go for fresh water varieties. 3. Raw or uncooked meat – Make sure to completely cook your meats. Avoid completely if in doubt. 4. Raw eggs – It can be risky to include foods containing partially cooked or raw eggs in them during fourth month pregnancy diet. Cook eggs enough to avoid any infections due to salmonella. 5. Uncooked shellfish – It can lead to food poisoning due to contamination by virus or bacteria. Some of them can even cross placenta and cause harm to the baby. 6. Ready to eat Meal – It is very important to cook any ready to eat meals till they are very hot since high temperature kills any pathogens if present. Ready to eat meals can get contaminated by Listeria and other pathogenic bacteria. 7. Meat patty – any meat or vegetable patty are at a major risk of developing Listeriosis. 8. Soft cheeses – Mould ripened varieties like Camembert or Brie have a high infection risk caused by Listeria. They can be the reason for potentially fatal diseases to baby and pregnant women also. Unpasteurized milk is used to makes cheeses and may have harmful viruses and bacteria. Better to choose foods with hard cheese since the moisture content in them is less. 9. Empty calories – these are the foods which give more calories than nutrients. Few e.g. are cookies, cakes, chips, biscuits, candy and fries which you must consume less. They are high in fat and sugar content, plus have no nutritional benefits. 10. Maida – Say no to all Maida foods As we all know Maida is not healthy still we consume it anyway in the form of pizzas, samosas, momos, noodles. But it is a major concern during fourth month of pregnancy diet. Digesting Maida is difficult thereby causing constipation related issues. Post delivery, small issues like constipation can cause major problems like haemorrhoids. 11. No Alcohol – If pregnant, then consume a very less amount of alcohol every week. The reason behind this is that liver of foetus can’t process alcohol at all. So exposure to it can cause serious effects on development of baby. 12. No Caffeine – Consuming too much of caffeine during pregnancy, increases risk of lower birth weight, that can cause complications like miscarriage. There are multiple foods and beverages containing caffeine apart from coffee. Ex. Chocolate, tea, energy drinks sodas etc. Caffeine is present in a few remedies prescribed for cough and cold. Many health authorities also recommend not to cut down on coffee completely but not to exceed 200 milligrams daily. 13. Avoid Overeating Dry fruits – Dry fruits are rich in nutrients but they are very warm for human body. You can always eat a handful of them but eating too much of it just because they are rich source of nutrients can lead to early contractions. 14. Liquorice – Liquorice is a very useful herb but triggers contractions during pregnancy and cause havoc in your body. It is also referred as Mulethi. It is present in many types of toothpaste, candies, gums. Should I take any particular supplements during Fourth month of pregnancy? It is crucial to consult doctors before you start taking any supplements during pregnancy. Iron – Every day a pregnant lady should ideally consume 27 milligrams of iron. You can get enough amounts of iron if you follow a balanced and healthy diet. If the doctor feels that you need to take iron supplements, they will be prescribe you. You may experience constipation, nausea, or heartburn while on iron supplements. Avoid this by taking your pills along with your meal. Start with a smaller dose and slowly start with the full dosage. The growth spurt of the foetus starting from the fourth month needs more iron. In addition, your body also needs to make 3-6 extra quantity of blood required for your pregnancy. Add foods like nuts, daals, eggs, dried fruits and whole wheat products to your diet. Also, consult your doctor before starting any iron supplements. Rich sources of iron include meat and chicken, because the iron derived from these sources is well absorbed by your body. Other sources of iron include legumes (lentil, chickpeas) and green leafy vegetables like spinach. Folic acid – Gynaecologist recommends folic acid supplements of 400 mcg daily up to pregnancy 12th week. Ideally, women should start taking them even before becoming conceiving. Vitamin D – A pregnant lady should take vitamin D supplements daily. One of the great sources of it is summer sunlight. However, this exposure to sunlight has to be restricted because overexposure increases skin cancer risk, can also cause tan and burning. Zinc – Zinc deficiency can cause serious implications on the mother and the baby. It is a crucial dietary element. Zinc is essential for cellular integrity, foetus growth and development, and multiple other biological processes like protein synthesis and nucleic acid metabolism. Since this functions are part of cell division, zinc is very important for foetus development. Dairy products, Chicken, turkey, crab, ham, shrimp, oysters, fish, beans, ginger, onions, lentils, nuts, peanut butter, sunflower seeds, bran, rice, cereals, tofu, and eggs are rich sources of zinc. 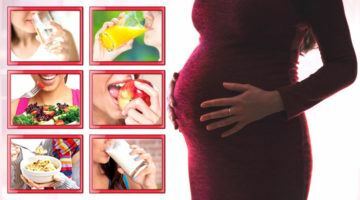 Calcium in Fourth month Pregnancy diet- It is important to have a healthy daily intake of calcium. Dairy foods, such as cheese, milk, and yogurt are rich in calcium. If the mother is vegan, she should consider the calcium-fortified soya milk and other plant milks and juices, soybeans, calcium tofu, broccoli, okra, Chinese cabbage, mustard greens, soy nuts and beans. As the calcification of the bones of the baby is progressing your body needs to increase the intake of the calcium to avoid the baby absorbing calcium from your calcium reservoirs which can increase risk of diseases like osteoporosis in future. Skip supplements of vitamin A – If you are pregnant you must avoid including extra vitamin A in your diet plan, as this can be harmful to the foetus. If a doctor has advised it in some specific cases than that is an exception. For e.g. If there is a deficiency in the mother.